There is no getting away from the fact that we’re going to buy something at some point, whether it’s something as small as bar of chocolate or something big like a holiday. The thing is unless its something that appreciates with time, every purchase that we make is making us that little bit poorer. There are ways of buying goods and services and getting paid, which many of us might already know about but for whatever reason don’t make them part of our daily shopping habits. Below are just three ways that will allow you to earn a little money back from nearly every purchase that you make. You should try to make the use of cashback websites a habit when you need to make a new purchase. The use of cashback websites isn’t that difficult. You simply visit the cashback websites, search through their offers to see if there are any offers from the companies listed and click on the link provided. Once the transaction is authorised the commission should be paid into your cashback account. You have the option of taking your money in the form of Amazon Vouchers. Remember: Always try and get the best deal not the best cashback offer, so if you can get it cheaper elsewhere. We hear many reasons why we shouldn’t make purchases on credit cards and maybe you’ve heard people say that if you can’t afford it, you shouldn’t buy it. I’ve got to hold my hands up and say that I was once one of those people. 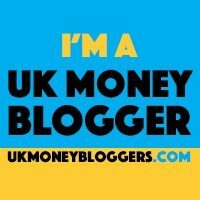 Starting this blog made me realise that if used correctly, credit cards might not be that bad after all. I’m not suggesting that everyone should go out and make an application for a credit card today. Not everyone is going to be accepted for one and applying for a credit card can affect your credit score. So long as you are going to pay it off in full at the end of the month, they certainly have their advantages. If you aren’t all that fussed about getting the latest item on the shelf, you might want to look whether your favourite store has a clearance page on their website. Retailers need to re-stock with new lines all the time to keep their customers coming back, so to make sure that they don’t have stock sitting in their warehouses they will often cut the price of these items and put them into clearance. So if you are in need of an item and can’t wait for a retailers sale, it might be worth looking for their clearance page before you head directly online. If it isn’t so clear whether they do, search “your preferred store + clearance”. Sometimes not that easy to find, this is a great way of getting some money off your next purchase. Here are some popular stores to get you started.